Maison Lairoux Holiday Homes in the Vendee, Western France..
Maison Lairoux Holiday Homes, 15km from the Vendee coast in Western France. Two family friendly Cottages in the Vendée, with 12m x 7m heated pool, huge games room, large gardens & views across the Wetland Pastures in the valley below. Le Vieux Café, has 3 bedrooms and sleeps up to 8 guests, with two bathrooms, modern lounge, Wi-Fi throughout and large well-equipped kitchen diner. L'Ecurie, has 2 bedrooms and sleeps up to 5 guests, with a modern bathroom, leather sofa, Wi-Fi & private patio terrace overlooking the gardens. Both holiday homes are ideal for family friendly holidays and family dogs are welcome too. 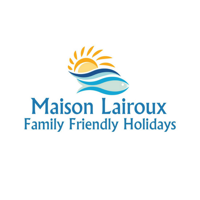 Maison Lairoux is set in the heart of the Vendée, only 20 minutes from the beautiful sandy beaches of La Faute sur Mer, 40 minutes from La Rochelle and Les Sables d’Olonne and an hour from the Puy du Fou Theme Park. Start planning your Spring & Autumn breaks now! Taking bookings for 2019 & 2020 already! We have had an amazing time - Ecurie is fabulous - just like home from home. Jason & Annette are amazing hosts - loved the bike rides & top tips on what to do. Thank you both for everything. We certainly hope to be back - probably 2020. Both Le Vieux Café and L’Ecurie Holiday Homes are open throughout the year and these can be booked for either whole weeks from Mid-May until the end of September or for short breaks and long stays during the remainder of the year. Summer bookings will start and end on a Saturday, but we can be more more flexible at other times of the year.